Howdy from Texas! I’m sitting in Java Ranch, one of the local hang outs in Fredericksburg, Texas. Apparently, wi-fi can be wonky in these parts so it’s not surprising the full house of caffeinated folks are glued to their laptops. I’ve been here just 3 days, but I already feel at home and am loving the Lone Star state. 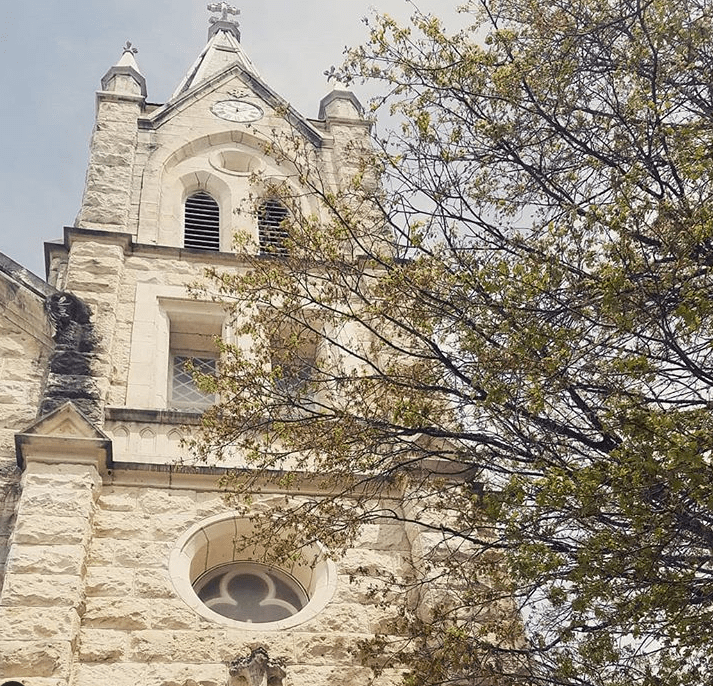 While several articles about this trip are to come, I wanted to take a moment and mention a few things I’ve noticed since I’ve been here. When I arrived at San Antonio Airport, I was greeted by a gentleman in a cowboy hat at the information desk. 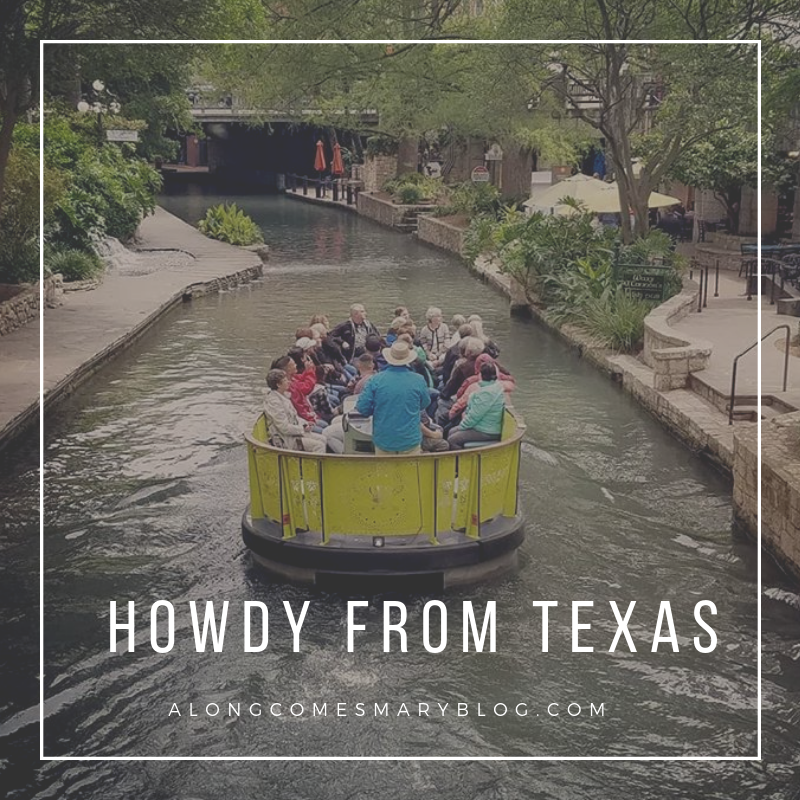 “Howdy, ma’am!” was his salutation, and I knew I was indeed, in Texas. Everyone has been so hospitable and kind. They really do say “howdy” and yes, a lot are dressed in Western attire. I certainly have opinions about gun control, and Texas surely does as well. Numerous cars have bumper stickers with phrases like, “We Don’t Call 911” with a shotgun on the sticker. While gun paraphernalia is a common souvenir in the shops I’ve visited, I’ve not seen many gun stores yet. Shoe Hospitals are a Thing? This has been humorous to me. I’ve seen at-least 4 shoe hospitals as I drive through Texas Hill Country. I cannot think of 1 in Los Angeles. Michael Jackson and Adele rule the pop airwaves. I’ve heard both of these artists at-least 4 times each day while cruising, and country superstars like Faith Hill just once. There’s also a lot of political stations that all seem to be supportive of our current President. 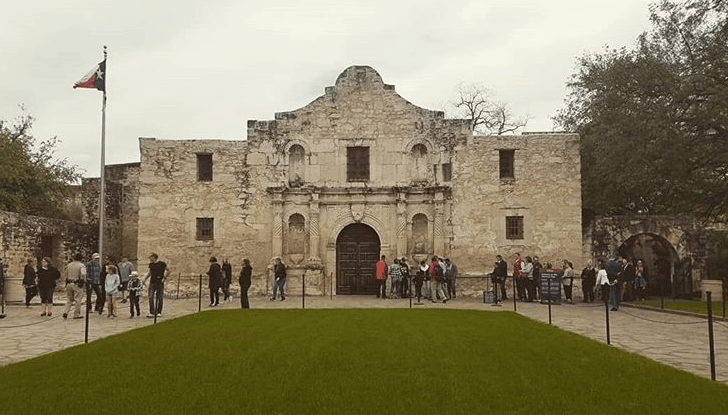 I was surprised to jump in an Uber after an extensive walk around Downtown San Antonio (Ok, I was a little lost) and have the driver speak so openly and passionately about the need for border walls as soon as possible. I just wanted his recommendation for a good margarita. Although I’ve lived in the country (especially The Santa Ynez Valley), I’m definitely a city girl. 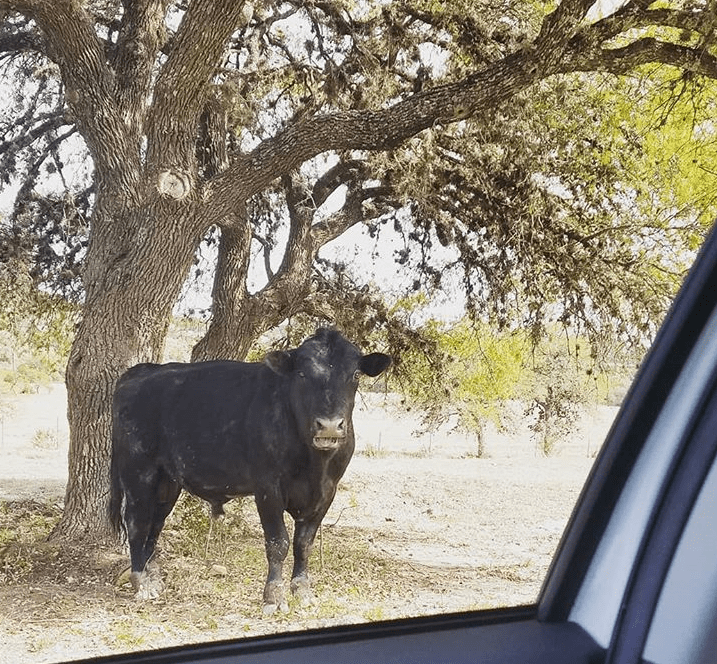 I was so excited to enter a dirt road with a “Watch for Livestock” sign and sure enough, met up with a loose cow just hanging out under a tree. You just don’t get that thrill on the 405 in LA. You know how they say “Everything is bigger in Texas”? Maybe it is if you live here, but I’ve not encountered that yet. The only time I noticed this was walking by a Mexican restaurant on the River Walk. They had a fish bowl margarita, which I’ve had back home.